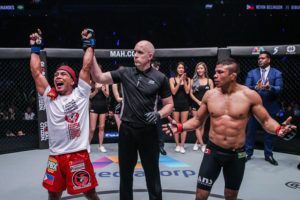 Kevin Belingon’s split decision win over Bibiano Fernandes was controversial. 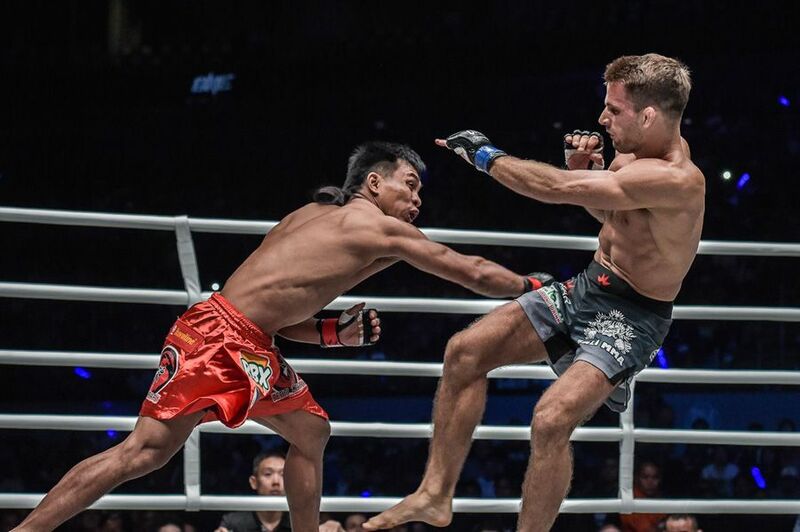 It earned him the ONE Championship bantamweight title but the judges decision wasn’t met with widespread approval. 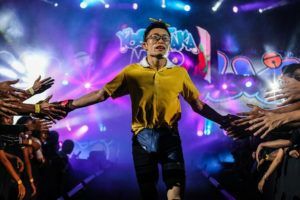 “I am still hungry to compete (and) I think I still need to improve my wrestling and grappling,” he said. 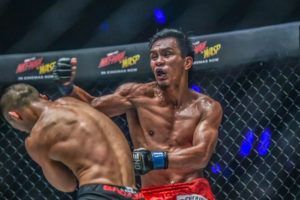 Team Lakay has been very successful in recent years with Belingon’s team mates Eduard Folayang, Geje Eustaquio and Joshua Pacio all capturing ONE Championship titles. 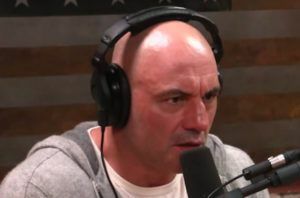 However all four have experienced ups and downs. “We just want to prove that we can compete on the highest level of competition. 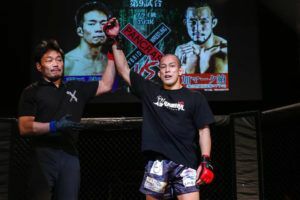 I need to train even harder so that I will always be ready whenever I defend my title,” he said. 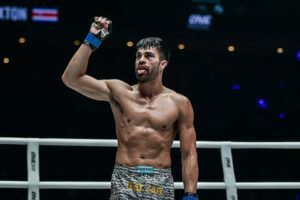 He first fought Fernandes in 2016 and Belingon was submitted in the opening round. 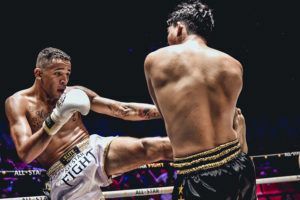 Their second fight lasted a full 25 minutes which is evidence of how much the 31 year old had improved in the intervening years. 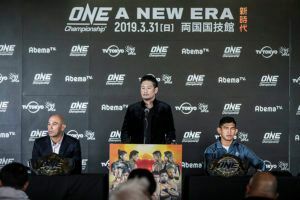 It is ONE Championship’s first ever card in Tokyo and the promotion has pulled out all the stops with four titles fights and the likes of Demetrious Johnson, Eddie Alvarez and Yodsaenklai Fairtex all in action on March 31st. 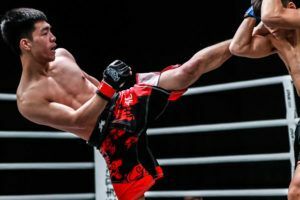 “We train together and we share our ideas with each other, especially when it comes to preparing for upcoming bouts because we all want to win,” he said. 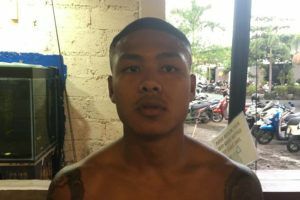 “I want to win cleanly,” he said. Fernandes hasn’t been stopped since 2006. 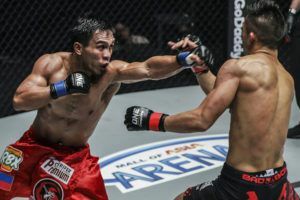 But then he hadn’t lost a fight in eight years before Belingon beat him and the Filipino is in the mood to cast another of his opponent’s records into the annals of history.